Drs. Marini & Manci have been treating patients for years from our New York office located at 21 Spring Street in the Nolita district of Manhattan and our New Jersey office at 602-15th Street in Union City, just off Kennedy Blvd. At our Manhattan and Union City dental practices, we don’t make things overly complicated. Our offices are designed for your comfort, and several patient amenities are available to keep you relaxed and at ease. Our philosophy is simple: provide high-quality dentistry while treating patients the way we like to be treated. Here in Manhattan and Union City, NJ, our doctors are interested in providing patients with much more than just the typical cold, sterile dental office atmosphere. We keep our care casual and comfortable while ensuring you receive quality results that leave you ready to smile. 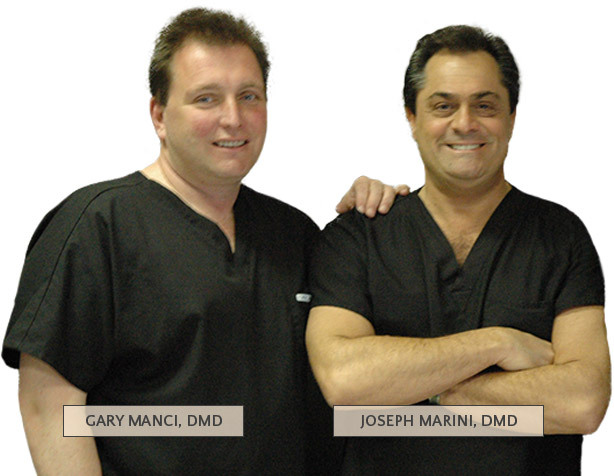 Dr. Joseph Marini and Dr. Gary Manci are highly trained and experienced, and they continue to pursue continuing education so that they can exceed patient expectations time and time again. It’s important to remember that dental problems can develop slowly and subtly right under our noses, hidden in ways an untrained eye can’t find. That’s why attending routine check-ups with a trusted dental team like the one at Marini & Manci Dentistry is so important for you and your family’s oral health. We’ll provide a thorough examination and cleaning, as well as personalized recommendations for treatment to address any damage or pain. We want to help our patients enjoy their smiles for many years to come. When it comes to reconstructive care, dental implants are a step above the rest, providing much-needed revitalization, aesthetic value, and functional quality to patients’ lacking smiles. At Marini & Manci Dentistry, our doctors are proud to offer both implant placement and restoration right here in-office for a streamlined, comfortable treatment experience – we even utilize state-of-the-art 3D imaging technology in order to ensure the greatest levels of accuracy and success. We’re always happy to offer patients the stunning dental transformations they’ve been wanting in either of our beautiful facilities. A variety of cosmetic treatment options are available, from Zoom! and GLO whitening for brighter smiles to porcelain veneers that can erase several unsightly flaws from your teeth all at once. Metal-free dentistry is available as well for conservative, long-resulting improvements that look seamlessly natural. We’d love to help you find the services that work best for you! 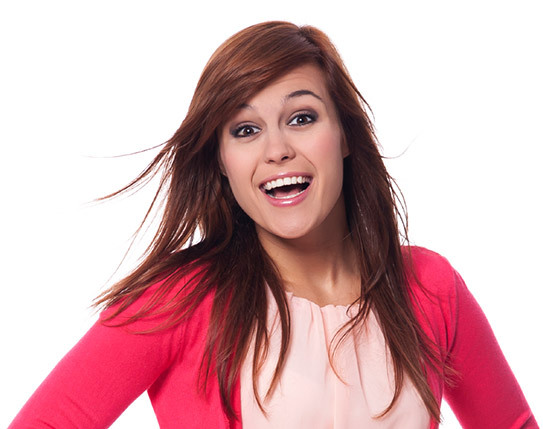 Instead of having to rely on noticeable metal braces that are better-suited for a middle school student, image-conscious teenagers and adults have a more sophisticated option at Marini & Manci Dentistry – Invisalign. 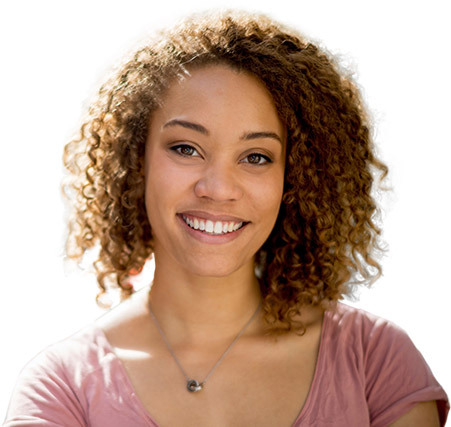 This orthodontic option relies on clear, customized aligners instead of the traditional wires and brackets, allowing you to maintain your confidence as we gradually improve the positioning of your teeth. Our doctors have personally handled over 300 Invisalign cases in the past four years, and we’d love to help you as well! You’ve achieved the beautiful smile you’ve always wanted with our help – but what about the rest of your facial appearance? BOTOX® treatment from our Manhattan and Union City offices can give you a fresh, youthful look by preventing the muscles around your eyes and brow from contracting as noticeably, reducing wrinkles and creating smoother skin. The use of BOTOX can also potentially benefit your oral health, helping to reduce teeth grinding and pain in the facial muscles. No one should have to struggle through life with teeth that are hurting, damaged, or even missing entirely. Instead, pursue restorative care at either our Manhattan or Union City office locations to regain both your oral health and your overall quality of life. Metal-free dental crowns and bridges, tooth-colored fillings, root canal therapy, extractions, and more are available – after an evaluation, Dr. Marini and Dr. Manci can help you determine which solutions fit your unique situation best. Paying for needed dental care shouldn’t have to be a headache-inducing experience. Our team is here to help every step of the way with flexible options and experienced guidance. We accept all PPO insurance plans, filing paperwork on your behalf to ensure a smooth experience. Alternatively, patients can find the financial help they need for elective procedures with affordable monthly payment plans from CareCredit and Citi Financial. Our goal is to provide you with the quality improvements your smile deserves while keeping your budget in mind.